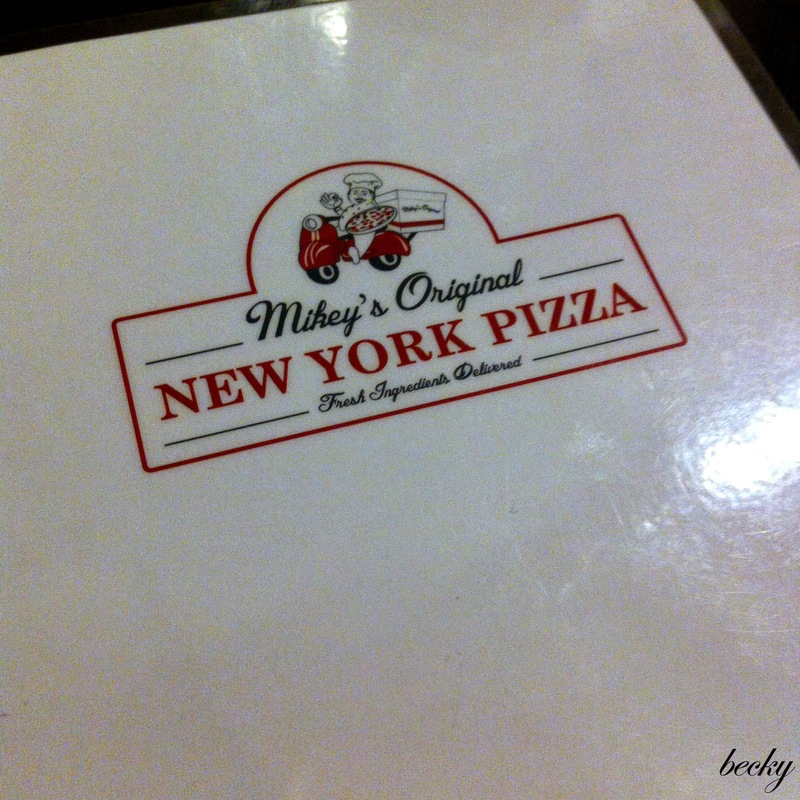 I'm sure many of you have read about the new pizza place in Bangsar - Mikey's Original New York Pizza. The place is the birth-child of a New Yorker Michael Helfman and Andrew Bellucci - a man who is famous and passionate about pizza making. Ever since their opening day, I've been dying to try their pizzas; and finally my prayers were answered! 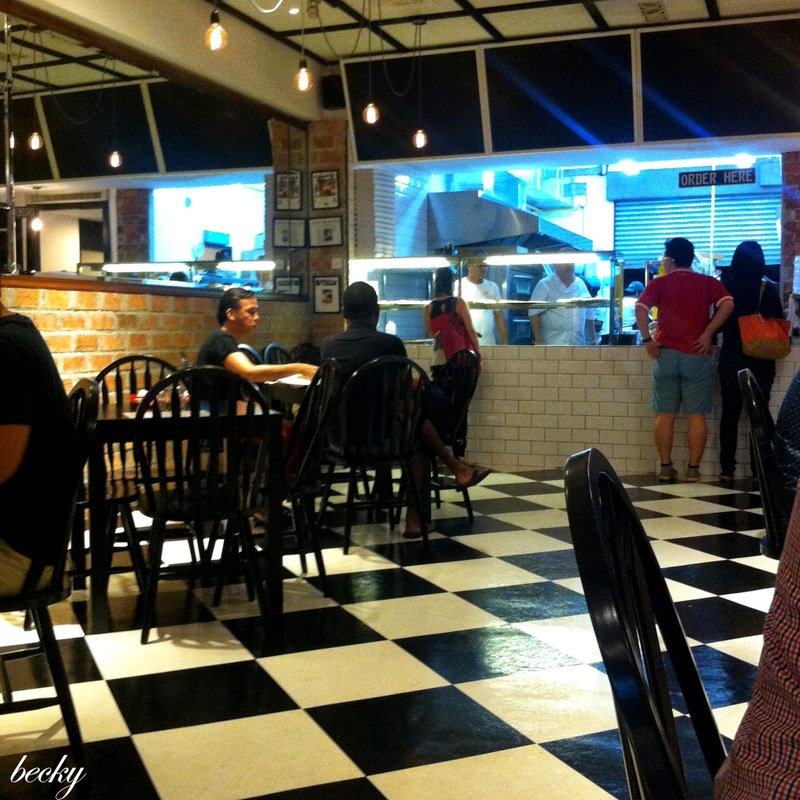 The moment I stepped into the place, I fell in love with it immediately - black and white flooring; simple deco with images and photos on the wall; and an open kitchen where you can enjoy all the pizza making action going on. Orders and payment would have to be made at the counter, and they will serve it to you once it is prepared. 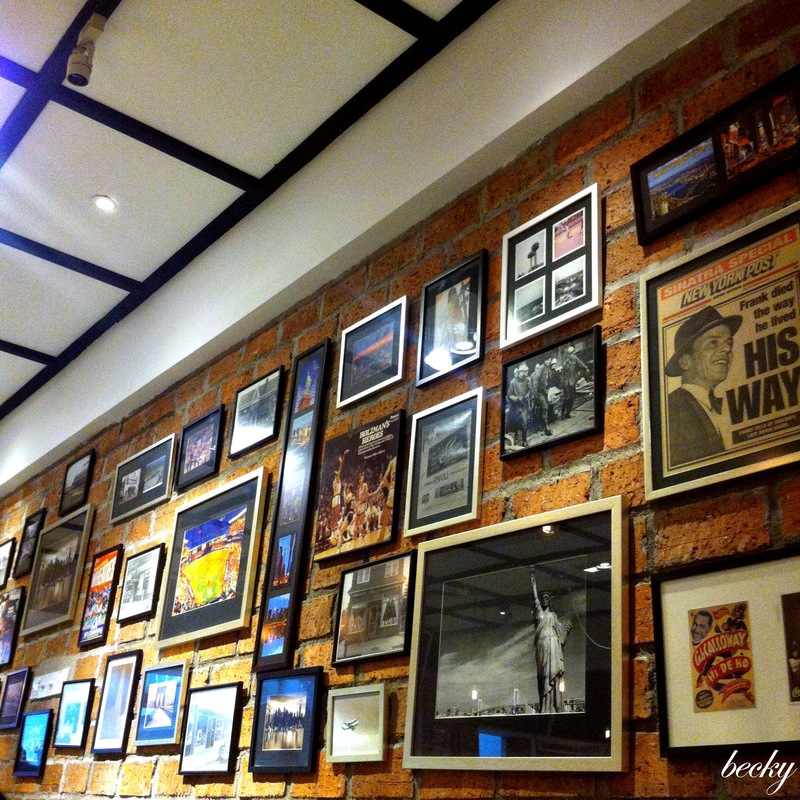 The pizzas here are very different from others, but it will definitely satisfy the cravings of a pizza lover. The crust here are slightly thicker than the Italian's thin crust pizzas, but they are perfectly! It's made so tender that you could easily fold and eat it. Oh yes, forget to mention, the pizza slices here are not your average-pizza-size like Domino's or Pizza Hut. You can choose to order the pizza in slices (pricing from RM8.88 onwards), or the whole 18" (RM69.88). My mom and I ordered 2 slices, upgraded with a side and soft drink with an ala-carte add on. 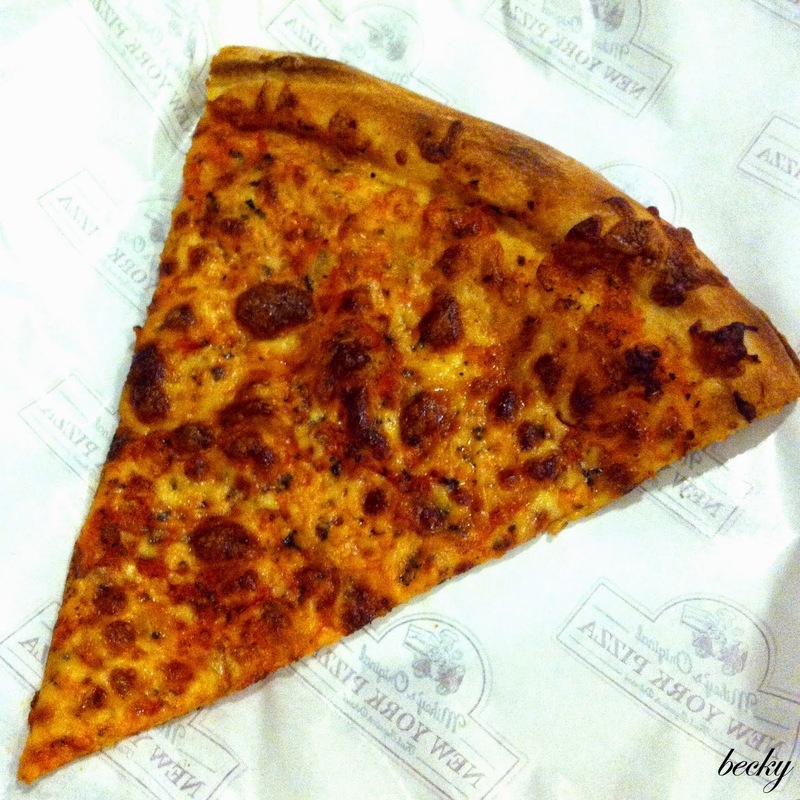 The Classic New York Pizza (RM8.88) is a combination of Mozzarella cheese, fresh homemade sauce, olive oil, and grated Grana Padano cheese. The crust was perfect and has that satisfying chew. I absolutely love mushrooms, and this for me, was the star of the night. 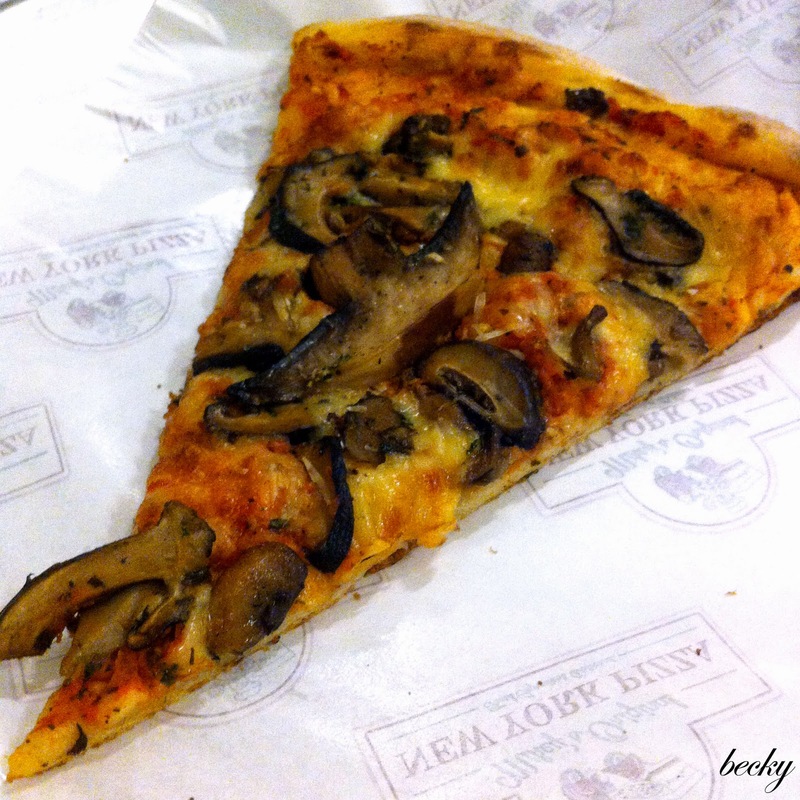 The Wild Mushroom Pizza (RM10.88) has the combination of shiitake, oyster and Portobello mushrooms sautéed in butter, olive oil, fresh basil and Mozzarella cheese and tomato sauce. It was packed with the delicious mushroom flavours. The Staten Island (RM10.88) came with 4 signature sauces: blue cheese, rich brown gravy, smoked chili mayo and Heinz ketchup. 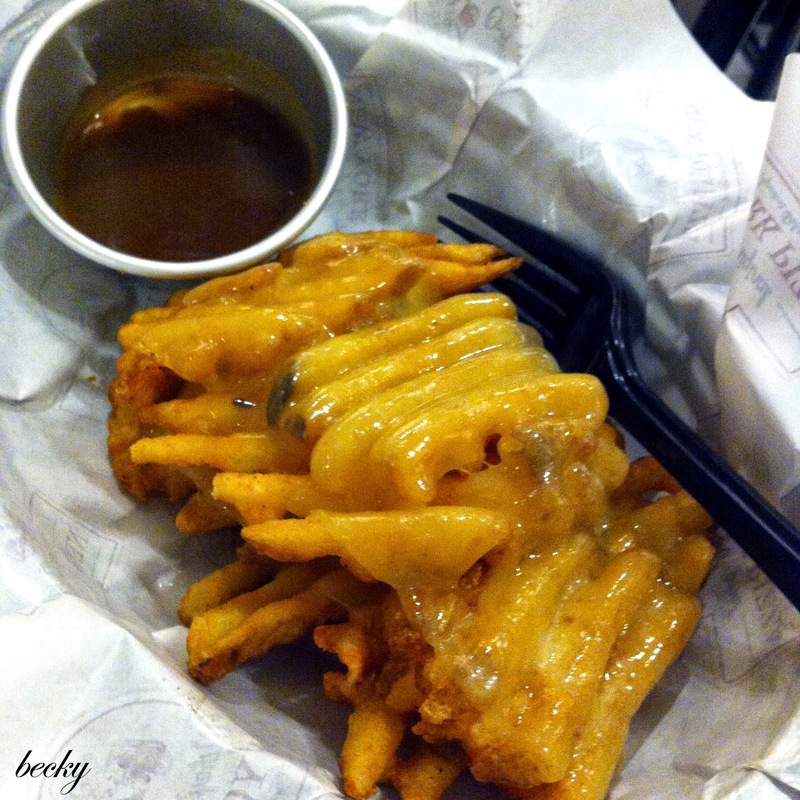 Brooklyn (RM12.88) was smothered in cheddar cheese and served with a rich beef gravy. 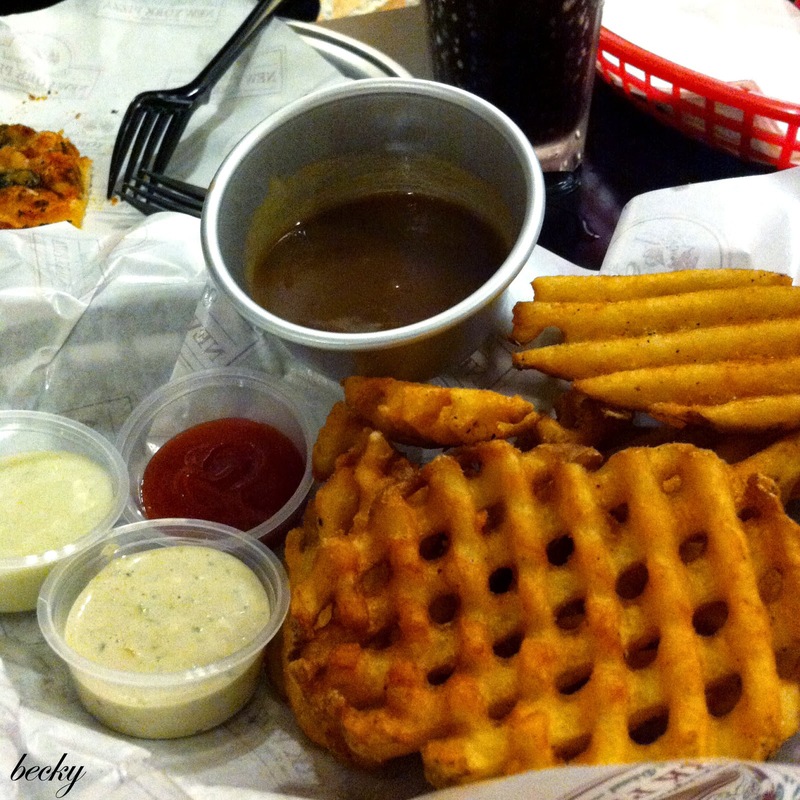 The waffle fries was indeed crispy on the outside and fluffy on the inside, as advertised on their menu. Not in the mood for pizzas? Fret not! They have some "Hot Heroes" for you to choose from too - Chicken Parmigiana, Philly Cheese Steak, etc. With every order of any pizza slice or hot heroes, you can opt for an upgrade. 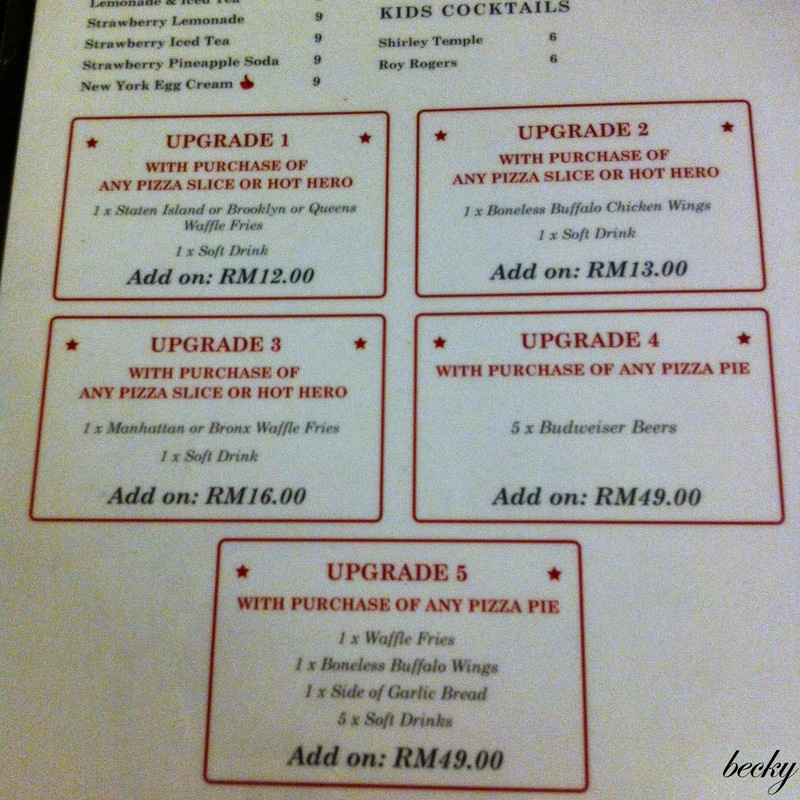 With 2 slices of pizzas + Upgrade 1 + add on waffle fries, our dinner came to a total of RM45.20 for 2 pax.